The weather in New Jersey has changed drastically from a mere 2 weeks ago when the temperatures were balmy and summer weight clothing was the garment of choice! And, now, winter-like temperatures have shown up! 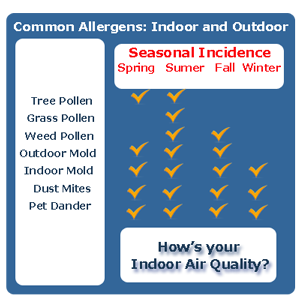 Along with a change in temperature comes the breeding of mold spores, airborne and other allergies, and the environment is full of so many pollutants...Grab that box of tissues, but before you do, let's talk about the indoor air quality of your home. Breathe Deep! Why Clean Effects ™ Electronic Air Cleaners Make Sense!